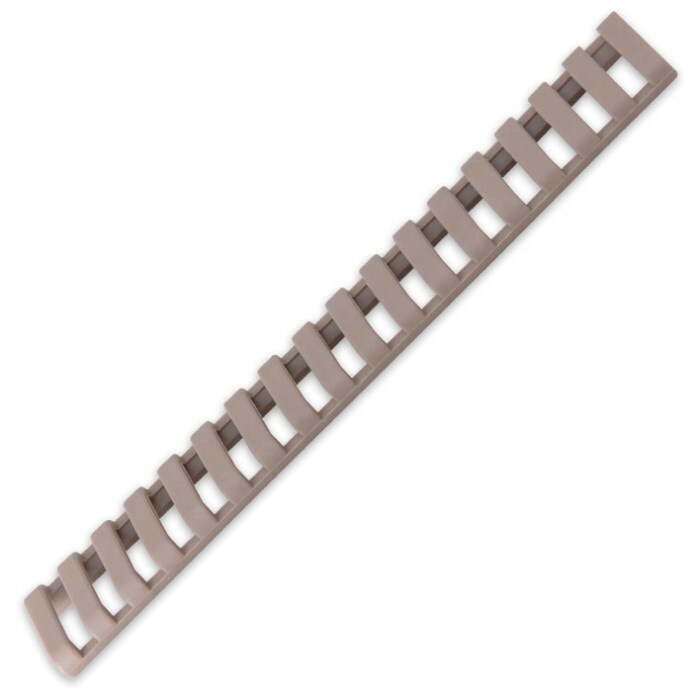 18 Slot Dark Earth Ladder Rail Covers - 3 Pack | BUDK.com - Knives & Swords At The Lowest Prices! Don’t trust your rails to anything else but the Ergo ladder rail cover grips. These original Picatinny rail covers are still the best available on the market today. Molded in Santoprene to provide a low profile, rubbery grip surface for improved weapon control, the 18-slot rail covers take up the smallest space and will protect your Picatinny rails from damage, protect your other gear, and you from sharp rail edges. There are three dark earth colored ladder rail covers in the pack.